The Department of “Computer Science and Engineering” was established in the year 2001 with the approval of AICTE. The department of is concerned with the theory, design, development and application of computer systems and information processing techniques. Within a short span of time the department has proved itself to be not only one of the best departments of the college but also among other private engineering colleges in Orissa. The department is located in the tall and upright new building with a dedicated team. The research and teaching missions of the Department encompass a wide range of areas, including networking and distributed multimedia, internet technologies, cryptography and security, databases, data mining, software engineering, computer architecture, compilers, operating systems, programming languages, artificial intelligence, computer graphics and visualization, algorithms, artificial intelligence, parallel & distributed computing, and soft computing. The department possesses 5 well-equipped labs that provide excellent facilities for teaching, learning and research activities. The department organizes seminars, symposiums and conferences on a regular basis to cope up with the changing trends in computer science and information technology. The department is equipped with 1 leased line and one broadband Internet connectivity of 2, 4 Mbps to facilitate the students and faculty members to cope with the highly demanding Internet era. Also department manages an internet lab, one server room dedicated for the department as well as institute service. The student staff ratio is maintained at 15:1 so as to have effective academic activities. Our faculty team, on an average is having 5 years of experience. During the current academic year all our B.E qualified faculty members target to register for M. Tech and most of our M. Tech qualified faculty members will be registering for Ph.D. All our faculty members are determined and have good attitude. The department of CSE organizes seminars, workshops and short-term courses time to time which usually get wide response from the faculties, students & researchers from Orissa and neighboring states. The department also undertakes consultancy projects from industries to make the students be comfortable with the future professional needs. 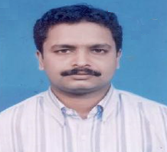 The department is headed by Dr. Sanjit Kumar Acharya. The B.Tech (CSE) programme was inducted in 2001 with an intake capacity of 60 students. Currently the intake capacity is 90 students. Admission to B.Tech (CSE) programme is strictly through the OJEE/AIEEE qualified candidates and handled centrally by the OJEE counselling process. 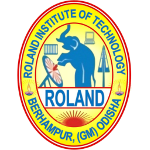 B.Tech (CSE) at Roland Institute of technology has been a favourite choice among the OJEE/AIEEE qualified candidates. Campus Connect is Infosys’ initiative to help increase India’s competitiveness in the knowledge economy. Campus Connect aims at evolving a model through which Infosys and engineering institutions can partner for competitiveness, enhance the pool of highly capable talent for growth requirements in Information Technology space. It is aimed at creating an effective means of backward integration into the supply chain by going into the college campuses from where the IT industry gets the people for its growth. Faculties of CSE Department conduct various short-term programmes (STPs) and Summer Courses for the benefit of Students. The department invites experts, senior academicians and researchers to deliver lectures at the institute time to time.